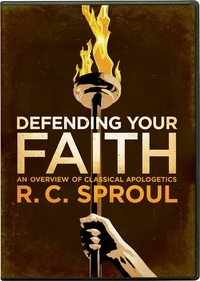 Dr. Sproul this was a great way for me to sure up my faith as a believer.One of the main things poeple go thru when having difficulties in life is having a doubt of God being there or even being "REAL". Well in this series i have personally grown,so now when i go thru the storms & challenges of life i'm alot more patient. I still have questions about some things, but knowing whether or not God exists isn't one of them. Thank You! I have gone through this series several times personally, once in a small group and am now leading a Sunday School study using it. Having been raised in an old holiness Pentecostal church I longed for and needed well thought out and systematic teaching on Christian doctrine. This study offers that and much more. If you are looking for deeper understanding based in objective reality instead of subjective experience this is your ticket. Helps you think clearly about truth. A first rate and thoroughly engaging series! R.C. has done a tremendous job in reminding us that &quot;Christians should not surrender rationality and scientific enquiry to the secular world. The commonsense tools of learning can be used to corroborate the truth claims of Christianity.&quot; This is a great resource that I will return to again and again in defending the faith against the gagging of God in our generation. Wow! R.C. does a supurb job of explaining how honest philosophical inquiry can't help but point to God... the God of the Bible in fact. Not only that but his engaging teaching style kept me hanging on every word. Philosophy when taught by R.C. is anything but boring. The series energized me to better under stand the reasons for believing what I do, so that I can boldly proclaim the truth of God in this decietful world.